Born and raised in Vancouver she obtained a degree in Biology from the University of British Columbia. She completed her four-year naturopathic medical training at the Canadian College of Naturopathic Medicine and was part of the Sports and Pain Management Group, receiving extra training in increasing athletic performance and the prevention and management of pain. Acupuncture, myofascial release, pelvic and spinal alignment, nutrition and exercise were primarily used. She travelled to India to further her complementary and integrative medicine education, broadening her ability to provide optimal care for her patients. Dr. Stella Seto, ND, continued her training at the Guangzhou University of Traditional Chinese Medicine in China, working at the acupuncture hospital to increasing her acupuncture and traditional Chinese medicine skills. A regular contributor to the Canadian Diabetes Association: Team Diabetes lectures, Dr. Seto also writes a monthly healthy living article for the city of Vancouver’s (city hall, police, fire and library) newsletter. In 2011 was voted runner-up for the best naturopathic clinic in Vancouver by the Georgia Straight newspaper. Dr. Stella Seto, ND. 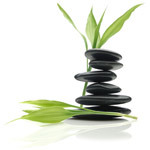 is a licensed naturopathic physician who welcomes all patients, of all ages and is currently accepting new patients. 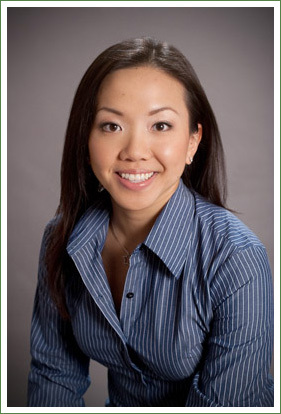 She uses the full spectrum of modalities available to naturopathic doctors but primarily focuses on acupuncture, traditional Chinese medicine, intramuscular stimulation, pelvic and spinal alignment, exercise, nutrition and orthomolecular medicine [supplements and injectables (i.e. Vitamin C, B-complex, B12/Folic acid and iron)]. Her special interest in sports and pain management began following an injury leaving her in chronic pain that the pain specialist diagnosed as "reflex sympathetic dystrophy" or "complex regional pain syndrome". In short they didn't know exactly why the pain was unresolved. When the strong pain medications they gave were ineffective in alleviating the pain, a nerve block was suggested. Unable to accept this solution she explored what naturopathic medicine had to offer and became pain free. She now enjoys a healthy and active lifestyle, with rock climbing, skiing, yoga and biking being some of her favourite activities. Naturopathic doctors are primary health care physicians, meaning they can be the first person you see for undiagnosed health concerns as well as for continuing care of varied medical conditions, not limited by cause, organ system, or diagnosis. Naturopathic physicians are required to have a minimum of 8 years of post-secondary training. Dr. Stella Seto, ND. is licensed to prescribe pharmaceutical medications and order labs, allowing her to determine the optimal management of your health care needs. Diet and lifestyle will always be addressed in treatment. © Copyright 2013. Stellar Health. All Rights Reserved.